I went for a one day clay modelling workshop in my office. 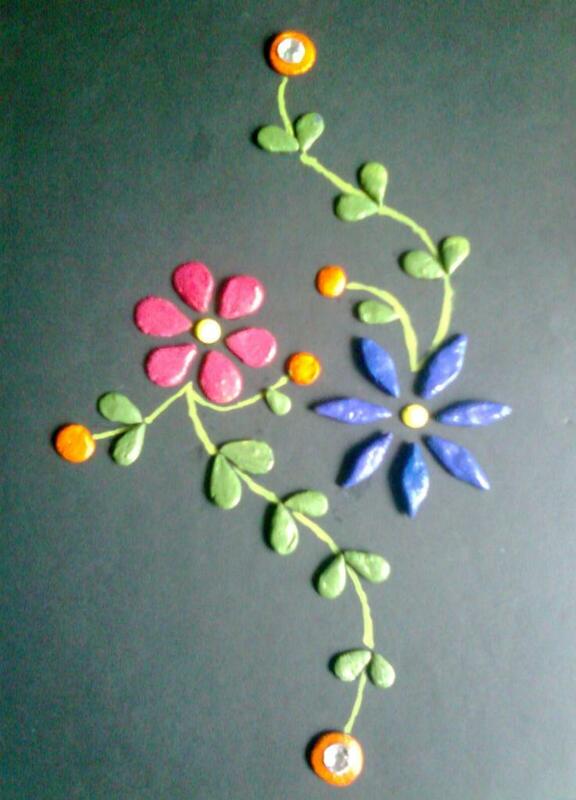 It was all fun and I had some left out clay so I decided to make something out of it, and this is how it turned out. I chose a floral pattern. Paint thin stem using yellow acrylic paint. Thats it pretty design ready ! Frame it ! Hang it !